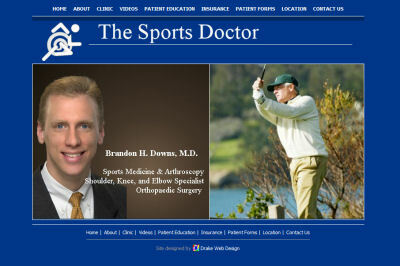 The Sports Doctor is Brandon H. Downs, Orthopaedic Surgeon located in Nashville, TN. Our client had an idea of what he wanted to do with the website so we designed it to his specifications. We also worked with LeadingMD, a company that provides patient education to orthopaedic surgeons, to incorporate their patient education into Dr. Down's website.